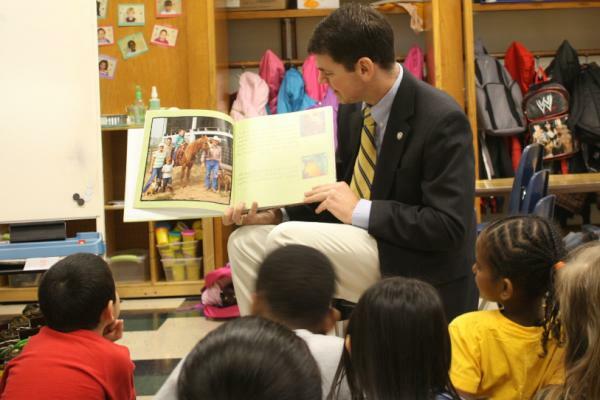 This week is Virginia Agriculture Week and Agriculture Literacy Week, and Virginians are celebrating by reading to children in pre-school through the third grade at public and private schools throughout the state. State officials, including Virginia Commissioner of Agriculture Matt Lohr and Virginia Secretary of Education Laura Fornash, as well as Farm Bureau members and other people involved in agriculture will visit local school, after‐school program, or day care and read From Our Fields…To You, a book written by Virginia farmer and teacher, Kellie Worrell., and provide other activities on Virginia agricultural products. During their annual Legislative Day event, Virginia Farm Bureau members gave each state legislator a copy of From Our Fields…To You to read during Ag Literacy Week, or any time during the month of March since the General Assembly is still in session.